The 1960s bouffant hairdo: The bouffant is a type of hairstyle characterized by hair piled high on the head and hanging down on the sides. 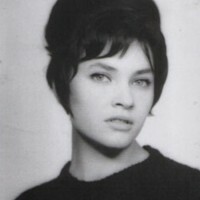 If you are looking for this classic hair style, here is a gallery of bouffant hairstyles, enjoy. 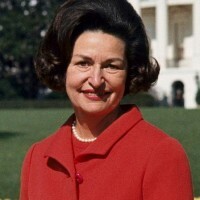 Jackie Kennedy popularized it, but it took Hollywood, skilled hairstylists and an entire generation of glamour girls of that era to bring it to the pinnacle of eye-catching beauty as the decade progressed. 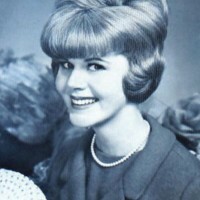 The bouffant hairstyle was a mainstream hairstyle in the mid-to-late 18th century in western Europe. It was thought to be created for Marie Antoinette, as she had relatively thin hair and wanted to create the illusion of having very full hair. The modern bouffant is considered to have been invented by Raymond Bessone.